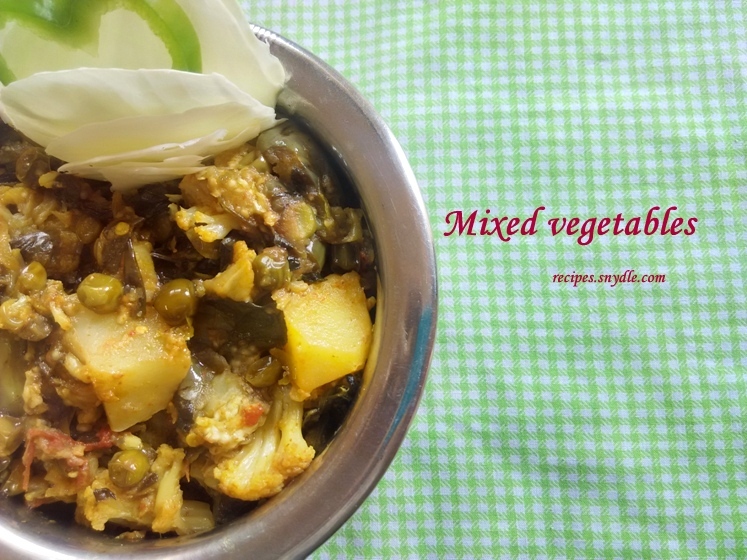 Mixed Vegetables Recipe/Mixed Veggies Recipe. 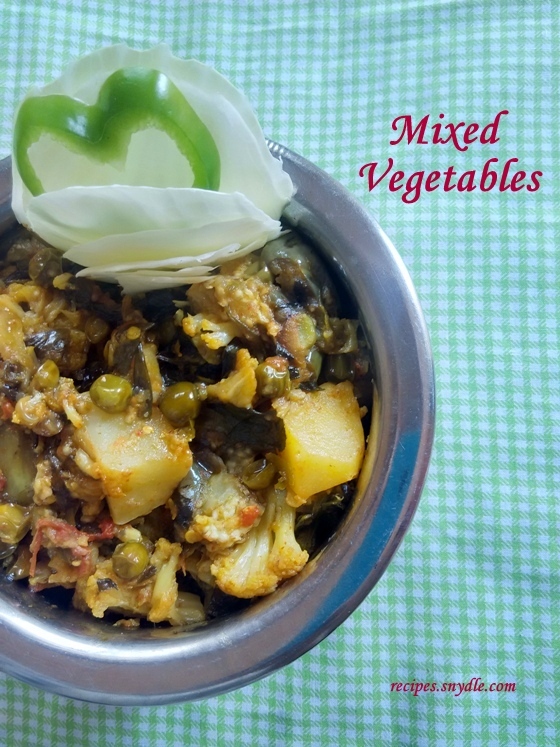 How to make Mixed Vegetables Recipe/Mixed Veggies Recipe with step by step pictures. 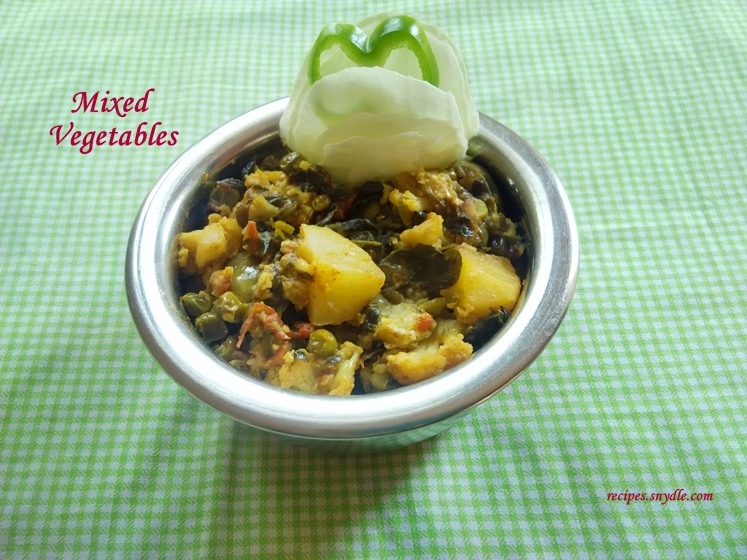 There are many recipes of mixed vegetables, here I am sharing one of them. 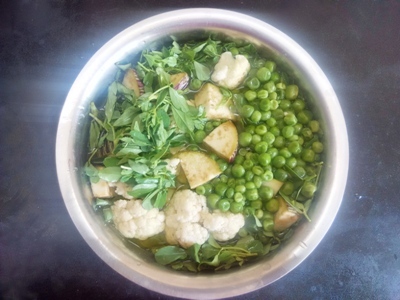 Many times we are confused as which vegetable to make in lunch or dinner, so mixed vegetable recipe is a good option. You can use any vegetable that is available with you. 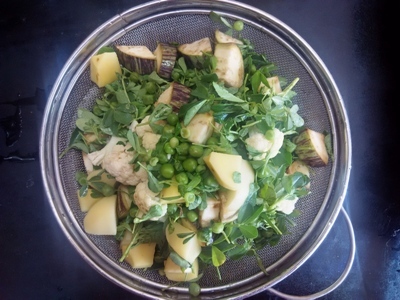 This is an easy mix vegetable recipe. 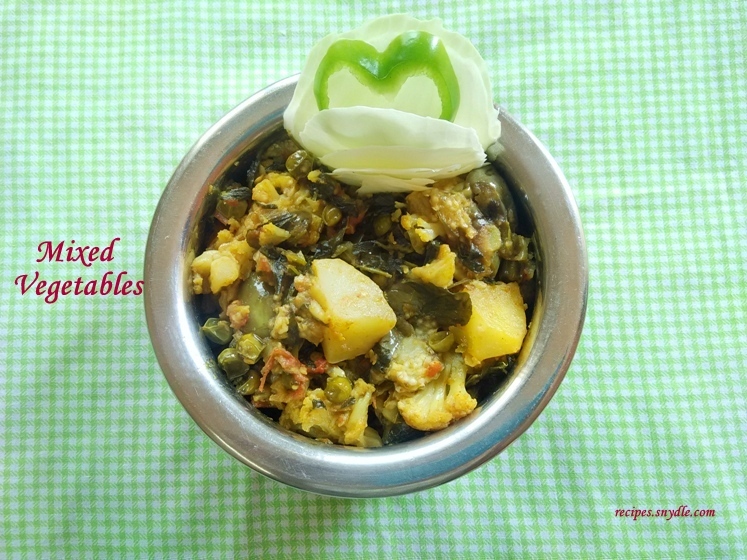 You can also try mixed vegetable recipe without onion and garlic. 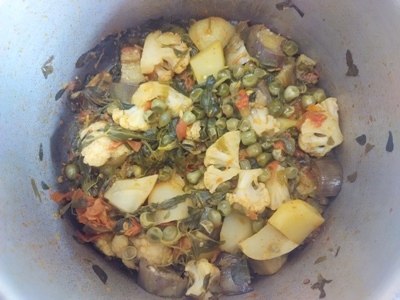 Here I have not used onion in this mix vegetable recipe. 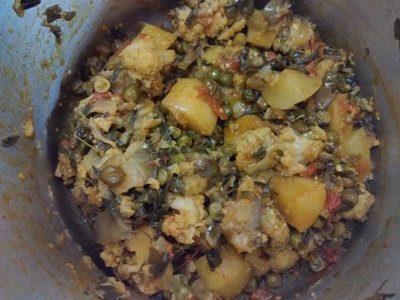 I have added garlic which you can avoid including to make mix vegetable recipe Indian style. If you want add some garam masala powder to make it little spicier, this recipe it can be named as mix vegetable recipe Punjabi style. This recipe an be said as main dish as it contains many vegetables or can be taken as side dish for rie. This recipe goes with roti, chappati, parathas and jeera rice. I personally love to have mix veggie recipe with rice. 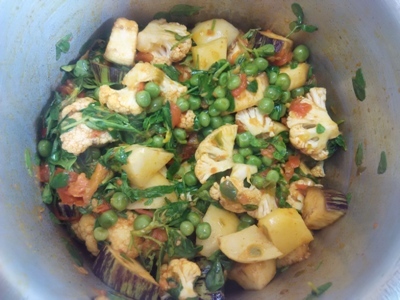 For making mixed vegetable curry recipe add a little water to the vegetables before covering lid to the pressure cooker. Mixed vegetable restaurant is very famous dish. For making this recipe add little tadka to the sabji. It adds up to the taste of the sabji. You can make variations with this recipe as per your taste preference. This is a healthy recipe for your kids as it contains mix vegetables and you receive nutritional benefits from each of the vegetables. This recipe goes well for your kids school tiffin which will give them healthy diet at their growth stage. 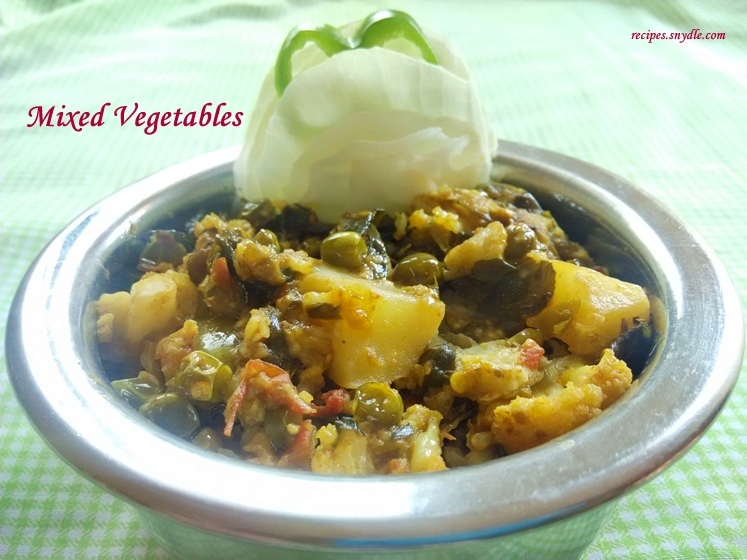 This recipe is somewhat similar to undhiyu recipe. In undhiyu the vegetables like brinjal and potatoes are stuffed with masala and also include meethi and besan bhajias these all are cooked together. 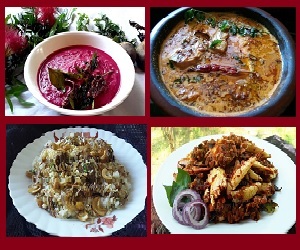 This undhiyu recipe is popular in Gujarat state. 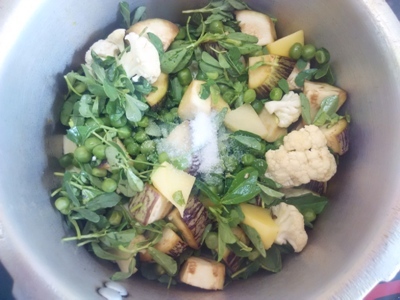 This recipe of Mixed Vegetables Recipe/Mixed Veggies Recipe yields 2 – 3 servings. For the purpose of measurement, 1 cup = 250ml. How to make Mixed Vegetables Recipe/ Mixed Veggies. Wash and clean all the vegetables. Take water in a bowl, add ½ tsp salt and ¼ tsp turmeric powder and mix it. 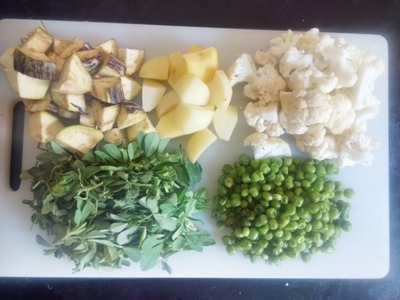 Place all the vegetables like brinjal/baingan, green peas/matar, fenugreek/meethi, potatoes and cauliflower. 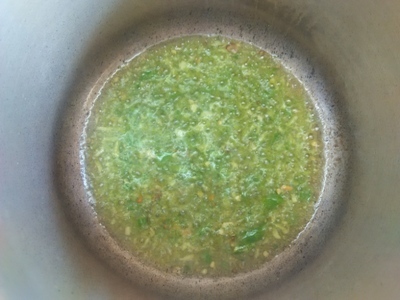 Add garlic and green chilli paste to the hot oil. 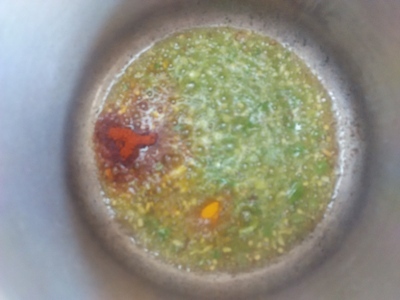 When the garlic and green chilli paste starts changing colour, add red chilli powder and turmeric powder to the pressure cooker. Mix it well. 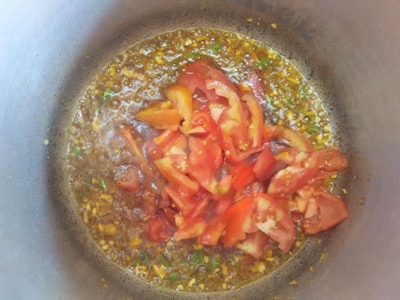 Now add chopped tomatoes to the pressure cooker and mix it well. 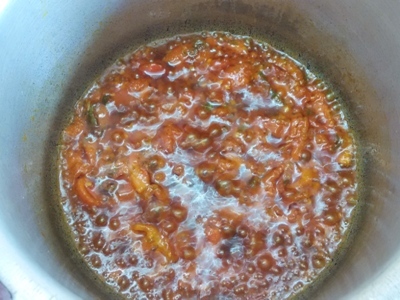 Allow the tomatoes to cook on medium flame and stir it. In the mean while drain off the water from the vegetables. When the tomatoes starts leaving on the edges it’s a sign the masala is ready. Now add all the vegetables and salt into the masala. Mix them well. Cover the pressure cooker with the lid. Take a whistle on high flame then reduce the flame to low and allow it to cook for more 5 – 7 minutes. 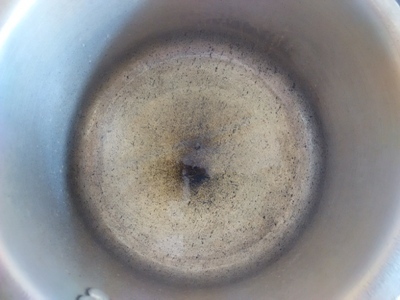 Off the flame and do not open the lid of the pressure cooker until the pressure cooker cools down or the heat inside settles down or the pressure gets off that is to say about 3 – 4 minutes. Open the lid of the pressure cooker. Now mix all thee cooked vegetables with the help of spatula. Serve the mixed vegetables recipe/ mixed veggies recipe hot. Garnish it with cabbage and capsicum. Enjoy! Next Post: How to make Egg Tomato Relish Recipe/Tangy Tomato Eggs Recipe/Eggs in Tomato Sauce Recipe.